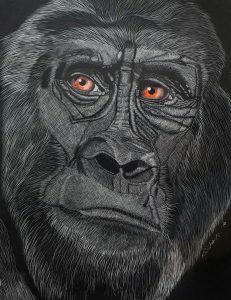 The Wisconsin Regional Art Program (WRAP) has announced the winners of 42 prestigious awards as part of its juried state exhibition, which runs through Sept. 23 at the Center for the Visual Arts in Wausau. The painting pictured at the top of this story is “Night at Machu Picchu” by Judy Buzzell of Delevan. 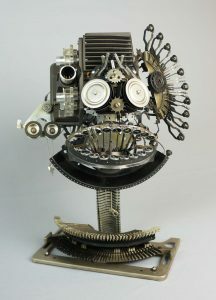 See the gallery below for photos of nine more award-winning pieces. 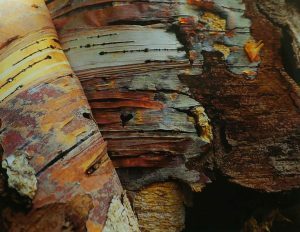 WRAP is a University of Wisconsin–Madison program that encourages adults to create visual art, share it with their communities, and connect with fellow nonprofessional artists. Participants show their work at regional exhibitions, where they receive feedback from experts and build their art knowledge at workshops and presentations. 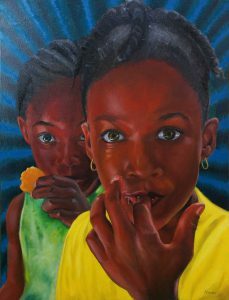 Professional artists give state awards to outstanding work from these events. 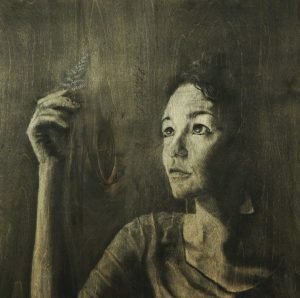 Artists who win these awards may show their work at the state exhibition, where they compete for nearly $5,000 in prize money. 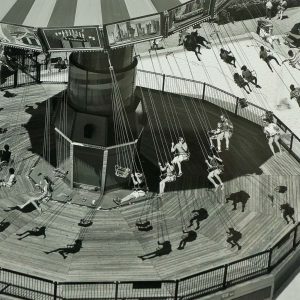 The state exhibition culminates in a conference that kicks off Friday, September 22, at 6 p.m., with a fundraising gala at the Center for the Visual Arts. The evening’s highlight is Tiny Treasures, an exhibition featuring works that measure 2.5 inches by 3.5 inches. Attendees may purchase these slight delights, with proceeds going to WRAP and the Wisconsin Regional Artists Association (WRAA). Selected artists win cash prizes and see their work reproduced in a calendar. The conference also includes award ceremonies, learning opportunities, and a speech by LeMay. 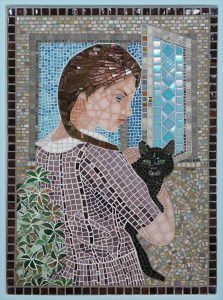 WRAP began as the Wisconsin Rural Art Program at the University of Wisconsin–Madison in 1940. 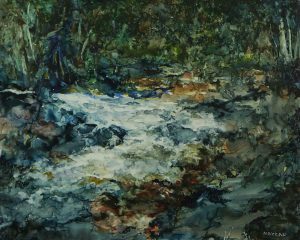 Its first director, painter John Steuart Curry, founded it to foster creativity in rural areas. 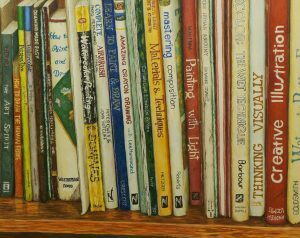 Now part of UW–Madison’s Division of Continuing Studies, WRAP hosts its annual exhibition and conference with WRAA, a nonprofit membership organization dedicated to supporting nonprofessional artists. 1. Follow instructions: You’d be surprised how many applicants write the essays they want to write, not the ones admissions officers request. Tailor your personal statement and other essays to the questions asked, and prove you know your audience by showing awareness of the school’s mission. Demonstrating interest in the faculty’s research can score you a few brownie points. 2. Show why you’re a great fit: Highlighting how you’re different from other applicants is smart, but illustrating how your unique qualities might benefit others–and further the school’s goals–is smarter. Maybe growing up with a stutter has made you a skilled listener, or perhaps living abroad has instilled an important lesson about cultural differences. 3. Ace entrance tests: Everyone isn’t a stellar test taker, but do everything you can to put your best foot forward, whether it’s hiring a tutor, taking a prep course, or simply getting enough rest before your exams. Strong test scores increase your chance of an acceptance letter, as well as scholarships and fellowships. 4. Screen references: Do your references know you well? 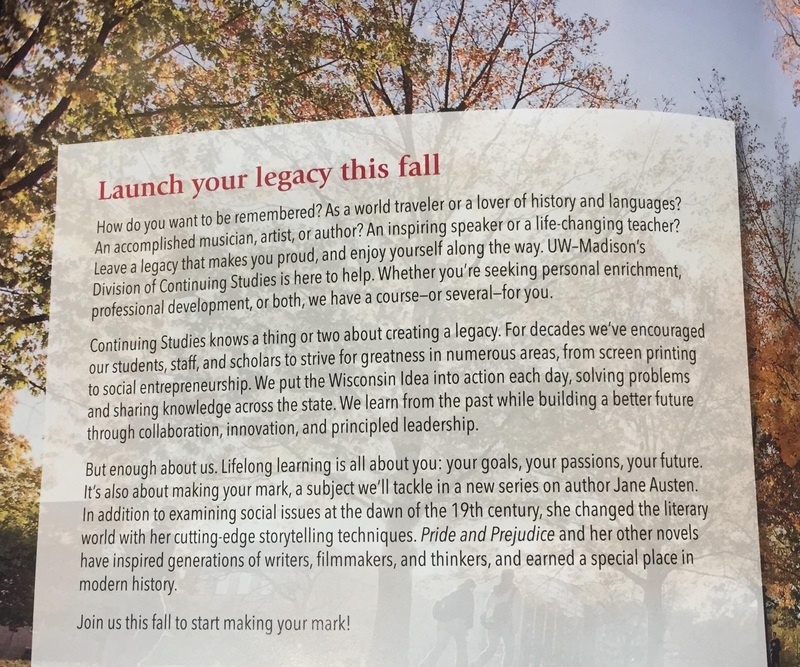 Are they prepared to talk up the strengths you’d like admissions officers to remember most? Do they answer questions directly and succinctly, or do they tend to ramble? Ask references if they’d like you to craft a short list of talking points to consider. 5. Review your work: Tempting as it may be, don’t wait until the eleventh hour to file your applications. Reread every piece you intend to submit, and consider having a colleague or mentor give you feedback. Root out awkward sentences and spelling errors, and then polish each app until it shines. 1. Get organized: Gather school supplies and finalize childcare arrangements well before the semester begins. Less stress means more productivity when school is in session. 2. Schedule smart: Avoid booking work commitments near school commitments. Request a few days off around biggies like exams and dissertation defense days, and ask colleagues for help if school and work deadlines are too close for comfort. Be sure to keep your loved ones in the loop as your calendar evolves. 3. Study strategically: Save time and impress your boss by turning a work project into a school project, whether it’s a social work case study or a website redesign. Use smaller chunks of time (think bus rides and lunch breaks) to read assigned articles and outline short papers. 4. Create a distraction-free study space: Find a quiet nook for hunkering down with your books. Minimize interruptions by placing your phone out of reach and using an app that blocks social media sites for a specified time period. 5. Take care of yourself: Prioritize sleep, no matter how busy you get. You’ll retain more information and think more clearly. Plus, rest helps prevent illness and grouchiness. 6. Lean on loved ones: Ask a spouse, parent, or neighbor to make dinner or watch the kids when you need time to focus — or recharge your batteries. Have your children help, too, even if it’s just sharpening your pencils. 7. Communicate: Connect with classmates to study and vent about school, and find strength in friends by sharing the triumphs and frustrations of your juggling act. An advanced degree can unlock many doors to career advancement, but those doors won’t spring open spontaneously. Choosing the right school matters. Ask these questions when comparing grad programs. How does your industry regard the school and program? Rankings are just one piece of the big picture. You need to know if a grad program will increase your value in your industry. Ask colleagues which programs have the most clout in your area of specialty, and research the day-to-day work of professionals in positions you’d like to hold one day. Also find out what alumni are up to. Are they content with their careers? How soon did they find work after graduation? It’s essential to know how much time you’ll spend meeting prerequisites, and which aspects of your program you get to design. For instance, some programs require mastery of a foreign language. Contact an academic adviser for details. What sort of financial aid package can you expect to receive? Are scholarships and fellowships available? Speak with financial aid officers, and determine how much student loan debt you can shoulder safely. What are the instructors’ credentials, research interests, and teaching styles? Your teachers should hold advanced degrees from well-regarded institutions, but that’s just the tip of the iceberg. Have they worked in the field, and do they know how it has grown and changed recently? Do their research interests complement yours? Can you handle their teaching styles? View course syllabi for clues and, if possible, observe some classes. Will the program expand your professional network? You’ll have a leg up on job opportunities if you use grad school to grow your professional network. Is there an alumni group with members in cities where you’d like to work? How helpful is the school’s career office? 1. New skills: Concrete skills, such as fluency in a programming language, can beef up your resume. Harder-to-quantify ones, like group facilitation and public speaking, may prepare you for new roles by polishing your professional demeanor. 2. Helpful mentors: There’s no substitute for experience, and mentors typically have it. Even if you’ve been working in your industry for a while, a good mentor can provide useful advice and help you navigate tough situations with aplomb. Mentors who inspire you are worth their weight in gold, whether you’re seeking employment in a difficult market or craving confidence during the interview process. 3. Bigger, better network: Grad school is an ideal place to meet and learn from your industry’s current leaders. It’s also a great venue for finding its next superstars. Even if you don’t nab your dream job immediately, a classmate might race up the career ladder and then want you as a colleague — or business partner — a few years later. 4. More job opportunities: Getting to know professionals at a broader set of organizations can lead to more job offers. So can connecting with more people in decision-making roles. Grad schools host mixers, lectures, and other events that make it easy to exchange ideas — and business cards — with numerous industry leaders. 5. Enhanced perspective: Taking time to reflect upon your professional experiences can help you strengthen your weaker areas and develop your leadership potential. Dissecting thorny professional issues with others is an excellent teamwork exercise, plus a chance to tone your problem-solving muscles. Choose loans wisely: With low interest rates, federal Stafford and Perkins loans are the building blocks of many financial aid packages, but they might not cover all of your expenses. Private loans are a convenient way to fill the gap but have fewer safeguards than federal PLUS loans, which are designed to pay for grad student necessities like housing and books. When loan shopping, compare origination fees and repayment terms as well as interest rates, and consider all of your financial responsibilities. A private loan might make sense for a renter with a lucrative job offer tied to a master’s, but not someone with kids, a mortgage, and a fuzzier picture of post-degree employment. Claim credit: Trim up to $2,000 from your federal tax bill each year you’re in school with the Lifetime Learning Credit. See if you qualify for this credit or the Tuition and Fees Deduction with the Internal Revenue Service’s education app. Scour scholarship databases: Fastweb and Peterson’s have searchable databases brimming with scholarship opportunities for grad students. Increase your chances of success by applying for scholarships tailored to your career path and distinctive aspects of your personal history. Ask your employer to help: Some employers offer tuition assistance or scholarships, but they don’t always advertise them. Ask your human resources department if these perks are available. If the answer is no, show how similar employers use them to recruit and retain top talent. Turn expertise into cash: Have strong Spanish skills or a killer SAT score? Find tutoring jobs online or at a local test-prep center. The hours are flexible, and the work can be lucrative. Subject-matter knowledge may also lead to paid mentoring opportunities, writing gigs, and expert witness appearances. Shopping for clothing can be like finding a needle in a haystack: even when you think you’ve found what you’re looking for, you’ve actually only found a really shiny piece of hay. 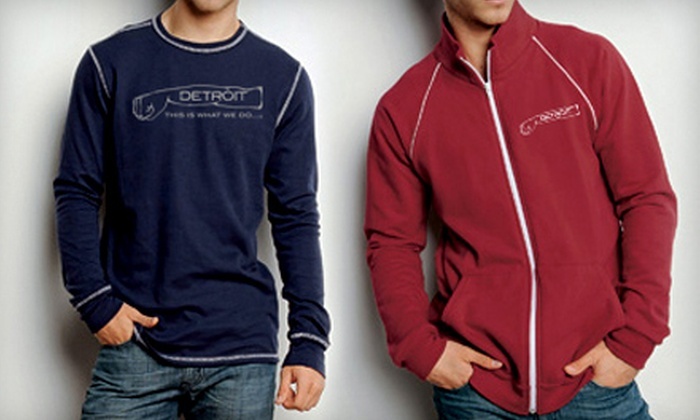 Today’s Groupon tilts the odds of a successful fashion quest in your favor: for $48, you get a track jacket and a long-sleeved thermal shirt from Fist of Detroit Apparel (a $96 value). Fist of Detroit’s urban apparel celebrates the city’s 8,000-pound sculpture of boxer Joe Louis’s fist and the fighting spirit the piece represents. Today’s Groupon outfits buyers in a unisex La Brea track jacket and a thermal shirt comfier than slippers lined with warm, fuzzy compliments. Available in red, black, or navy, the jacket swathes bodies in 100% combed ring-spun cotton, contrast piping, side-welt pockets, and an easy-to-locate center-front zipper. The garment has been preshrunk and prelaundered, preventing it from sizing down in the dryer or painting rainbows on skivvies in the washing machine. The long-sleeved thermal hugs physiques with a 60/40 cotton-poly blend trimmed with contrast reverse coverstitch on the neck, sleeves, and bottom hem. With a waffle-weave knit in sun-luring navy or black, the shirt helps lock in heat on cold winter days. A fist graphic with a choice of two statements—the city motto in Latin graffiti or a saucy “This is what we do”—emblazons the front of each jacket and shirt, inspiring wearers to flaunt their Detroit pride and sucker-punch the mayors of rival cities. Researching colleges is a journey filled with decisions, challenges, and at least a little anxiety. UW Journey, a new smartphone app from UW HELP, aims to make this process as smooth and positive as possible. Designed to show students which UW System campuses are best suited to their needs, it gives them confidence that they will thrive at the school they choose. It’s also a great tool for school counselors working with college-bound students. The experience begins with questions about the student’s academic and extracurricular interests. Students also indicate the campus size they prefer, the type of community they’d like to live in, the housing options they’re seeking, and whether they want to attend for two years or four. UW Journey then reveals which of the 26 UW System campuses best match these preferences. Students “find their fit” as they compare campus details side by side. In addition to personalizing the college-search process, UW Journey introduces students to UW System campuses they might not have considered. It helps them determine their next steps as well. Campus-tour information pushes them to visit schools that interest them. A “pay for college” section encourages them to explore the Free Application for Federal Student Aid (FAFSA), make note of financial aid preferred filing dates, and learn about loans, scholarships, and campus employment. There’s even an interactive college-application checklist filled with information about personal statements, school transcripts, ACT and SAT test scores, application fees, and important dates and deadlines. 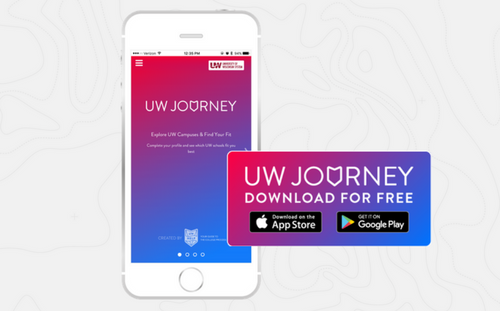 The UW Journey app can be downloaded from Apple’s App Store or Google Play. However, a smartphone is not required to take advantage of this resource. The UW Journey website offers the same experience on a computer or tablet. Randy Brandner had a problem. The Merrill Chamber of Commerce had outgrown its office space, and people were looking to him, its president, for answers. Luckily, he found a solution with the help of the University of Wisconsin–Madison’s Executive MBA program. His story recently appeared in Project 72, part of the university’s All Ways Forward fundraising campaign. During his Executive MBA studies, Brandner learned that charitable organizations can receive gifts such as donated property. He knew of a local building that was eligible for donation and would meet the chamber’s needs, so he proposed creating the Merrill Chamber of Commerce Foundation. “Without my UW-Madison experience, I never would have suggested setting up the foundation,” he says. Before long the foundation came to fruition, and Brandner served as its inaugural president. It has since become a pillar of the Merrill community. In addition to participating in civic beautification programs and local parks initiatives on a regular basis, the organization helped victims of a tornado that struck Lincoln County in 2011. Brandner says the Executive MBA program also helped him advance his career at Church Mutual Insurance Company, where he serves as vice president of product management. The program was particularly useful in fostering “new awareness related to business and the interconnectivity of business organizations throughout the world,” he says. Recently named to The Economist’s list of top Executive MBA offerings, the UW-Madison program features internationally recognized faculty and a close-knit community of experienced business professionals eager to enhance their leadership skills. In addition to studying management theories and current issues affecting the business world, students grow their networks at classes that meet every other weekend. Upon graduation nearly 80% of Executive MBA alumni say they’ve received a promotion or grown their own company, and two years later their salaries have increased an average of 71%. For more information about the Executive MBA program, see here. When Continuing Studies’ Barbara Nehls-Lowe learned Tagalog, she was living in the Philippines, serving in the Peace Corps. Then she returned to the U.S., where learning a language was much harder. For years she studied Spanish, which is useful for her work with the Wisconsin HIV Outreach Project, but she never found her way. Things changed when she signed up for Continuing Studies language courses. Nehls-Lowe and several family members wanted to see her daughter Amanda, who lives in Sicily with her husband. When they planned the trip, they had no idea they’d become honorary members of another family, that of Luisa Gregori. “Amanda’s husband, Oliver, is an attorney in the Navy’s JAG Corps. Since he’s stationed in Sicily for three years, I thought, ‘Now’s the time to learn some Italian. I told my husband, Henry, and we decided to take a class together through Continuing Studies,” she says. That’s when the couple met Gregori, their teacher. She showed them how to say hello and goodbye, introduce each other, and order wine. She also got them excited about learning more Italian. Nehls-Lowe has taken additional classes since. “Luisa understands adult learning, and she made her class very fun and comfortable. It was a fabulous experience,” Nehls-Lowe says. Sage Goellner knows it can be intimidating to learn a language as an adult. That’s one reason the French professor joined Continuing Studies, where she directs a set of the language programs. Semester-long courses for beginners teach skills that can vastly improve an international trip: understanding basic directions, deciphering a weather report, and reserving a hotel room, to name a few. Students also develop cultural competency by reading news, discussing customs, and exploring art, history, and music. In Italian 1, for example, students get acquainted with Italian coffee culture. “In cafés, most Italians drink their coffee (always espresso unless you specify otherwise) standing up at the counter (al banco). It can cost a lot more if you have it while seated at a table. Italians also only drink cappuccino in the morning and frown upon drinking milk after a meal. Knowing little things like these can mitigate that ‘fish out of water’ feeling while traveling,” Goellner says. Class was just the beginning of Nehls-Lowe’s introduction to Italian culture. When she and her husband invited their teacher to dinner, the next leg of the adventure began. After convincing the couple her offer was serious, Gregori met up with their group in Tuscany and took them to her family’s home. 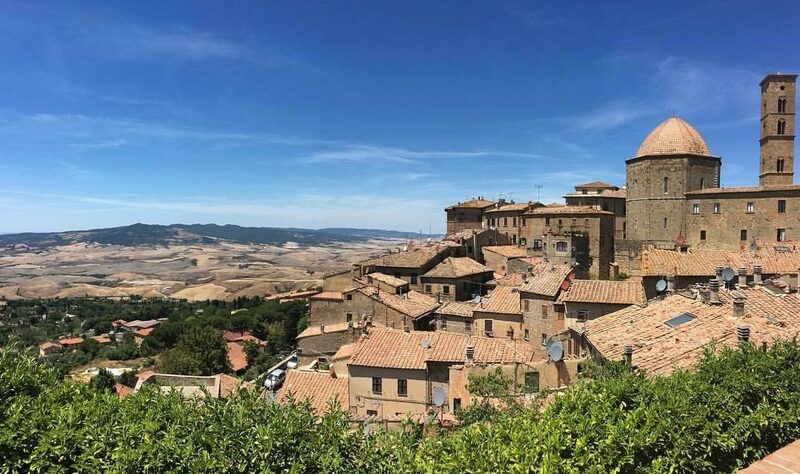 “Tuscany was the highlight of our trip: being at Luisa’s house, meeting her parents, being surrounded by all sorts of fruit trees—lemons, limes, nectarines, olives. Spending time with these wonderful people in such a beautiful place enriched our experience of Italy. They have such a different way of life, so peaceful and quiet and connected to the land,” Nehls-Lowe says. Gregori also took the group to several of her favorite Tuscan towns and Cinque Terre, a collection of centuries-old villages on the Italian Riviera. During their four-day sojourn by the sea, Nehls-Lowe’s younger daughter, Abby, mentioned she had an appointment with a tattoo artist in Milan. In addition to visiting Tuscany and Cinque Terre, Nehls-Lowe’s group explored Florence and Venice. On the way to Milan, they glimpsed George Clooney’s villa on Lake Como, and when they reached the city, Nehls-Lowe kept her promise. She now has a permanent souvenir on her ankle: an olive-branch tattoo. To learn more about Continuing Studies’ language programs, see here or contact Goellner at sage.goellner@wisc.edu. UW Journey is a new smartphone app UW HELP developed and launched in 2017. It helps high school students discover which University of Wisconsin campuses fit them best using criteria such as fields of study that interest them most, student organizations they hope to join, and their preferred distance from Mom and Dad. I wrote the copy for the app and its sister website, which gives users a similar experience from a computer. I also created copy to market this new resource, including blog posts and press releases.